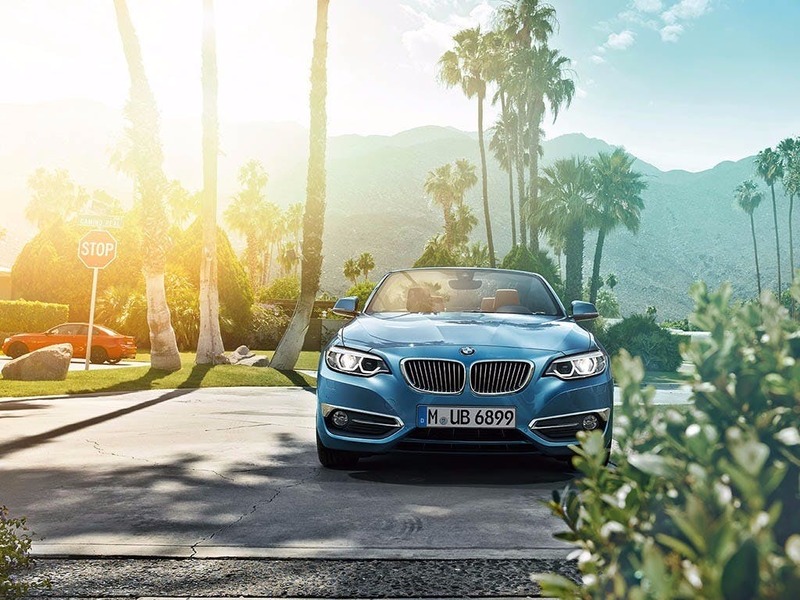 Discover your new found freedom with the new BMW 2 Series Convertible. 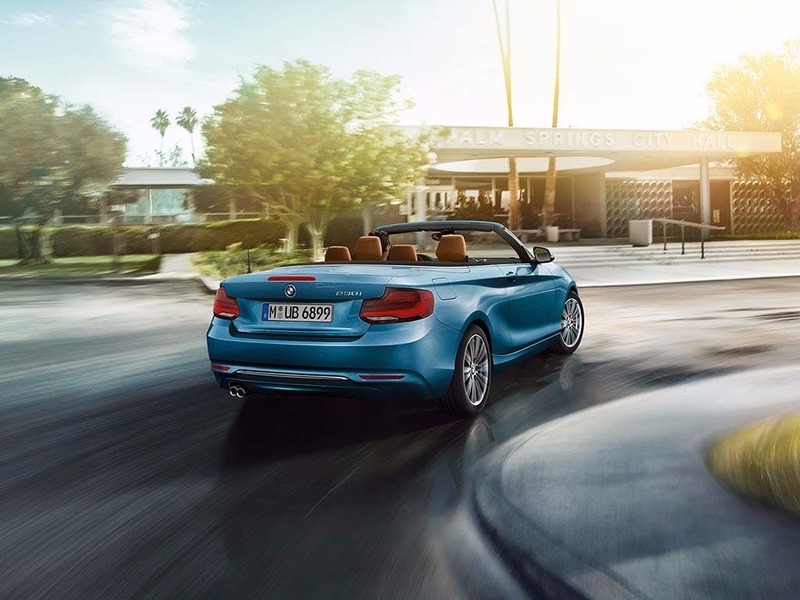 Compact and ultra-stylish, the new BMW 2 Series Convertible handles superbly and is a joy to drive. Its uncompromising aesthetics start with the eye-catching soft-top that retracts to reveal a well-appointed cabin. With a range of engines that cater for all types of driving preferences, the new BMW 2 Series Convertible redefines open-top driving. Visit your nearest dealership in Bedfordshire, Cambridgeshire, East Sussex, Hampshire, Hertfordshire and London to test drive the new BMW 2 Series Convertible. 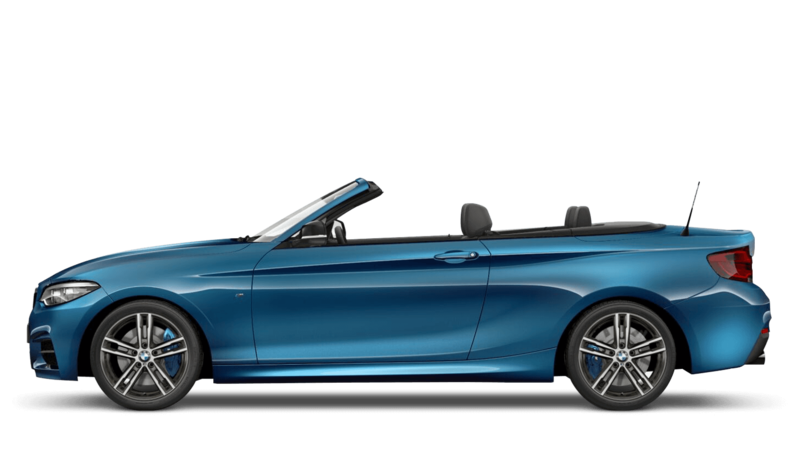 Discover all the latest BMW 2 Series Convertible offers currently available. 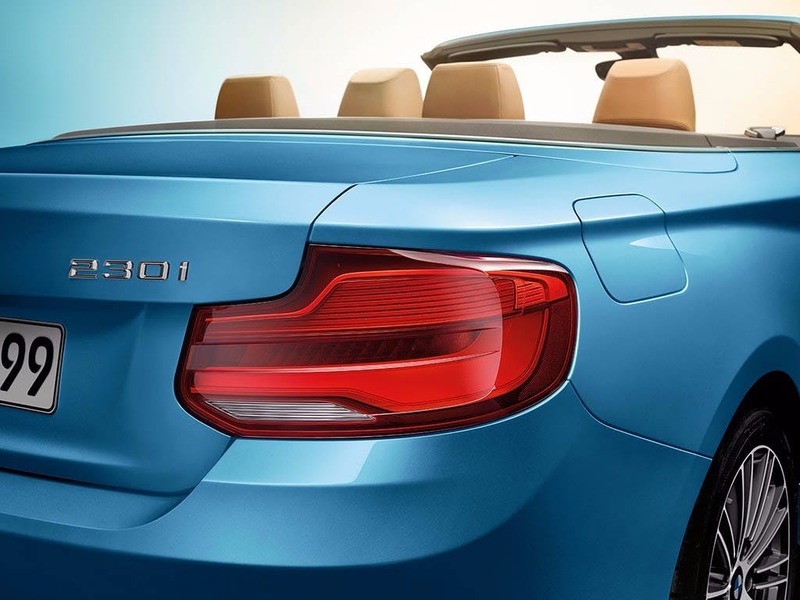 Every detail matters, view the BMW 2 Series Convertible technical specification. Download the latest 2 Series Convertible brochure. 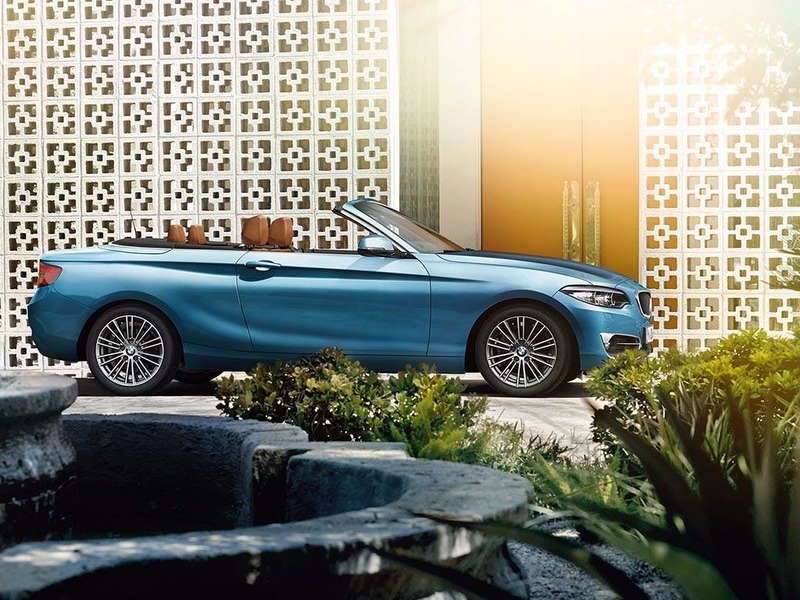 Style, space and convenience come together to create the new BMW 2 Series Convertible. Its four-seat cabin features a leather-wrapped steering wheel, which offers power-assisted steering, speed-limiting functionality and easy control of a wide range of features. 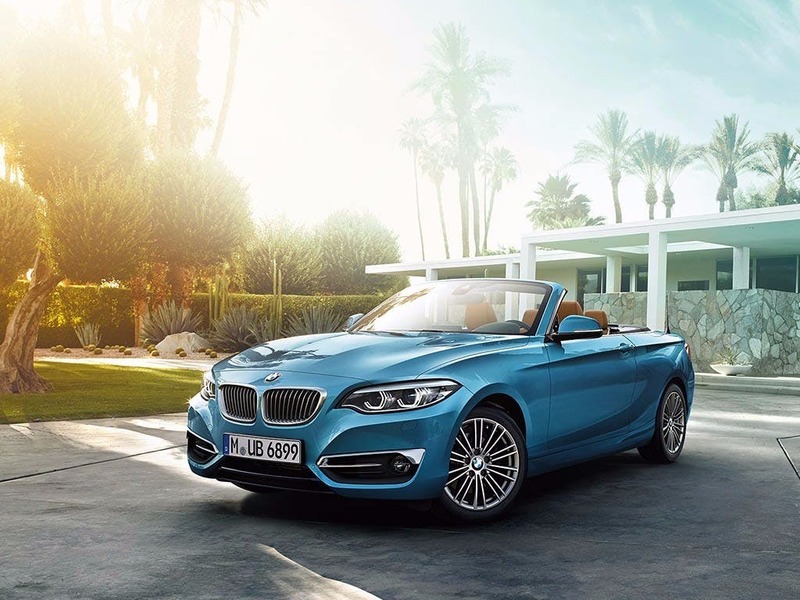 Designed with athleticism in mind, the BMW 2 Series Convertible features an elegant interior that provides significantly enhanced comfort. Perfectly finished with high-quality upholstery using first-class materials, including “Dakota” Cognac leather, exquisite craftsmanship ensures supreme ride comfort during even the longest of journeys. Stand out wherever your journey takes you with the new BMW 2 Series Convertible. 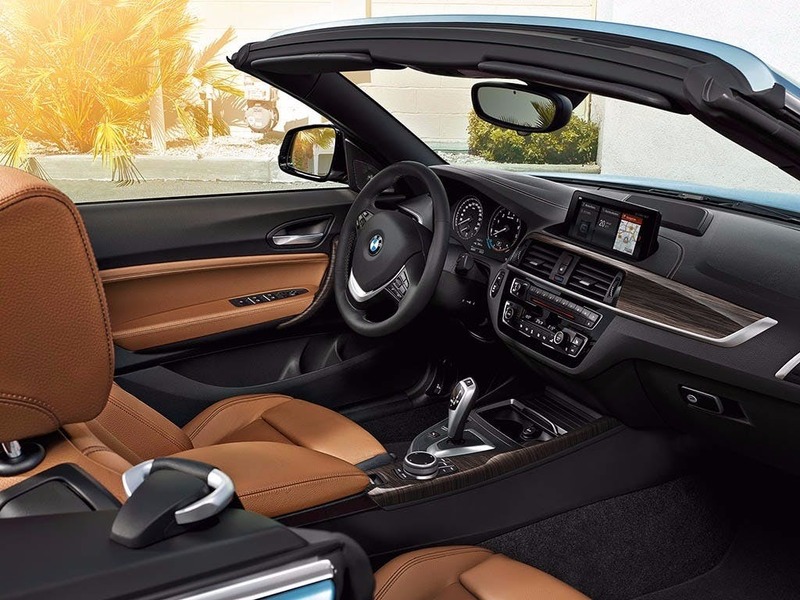 With the help of an acoustic Anthracite roof that folds back in approximately 20 seconds at speeds of up to 31mph, the 2 Series Convertible is more expressive than ever before. 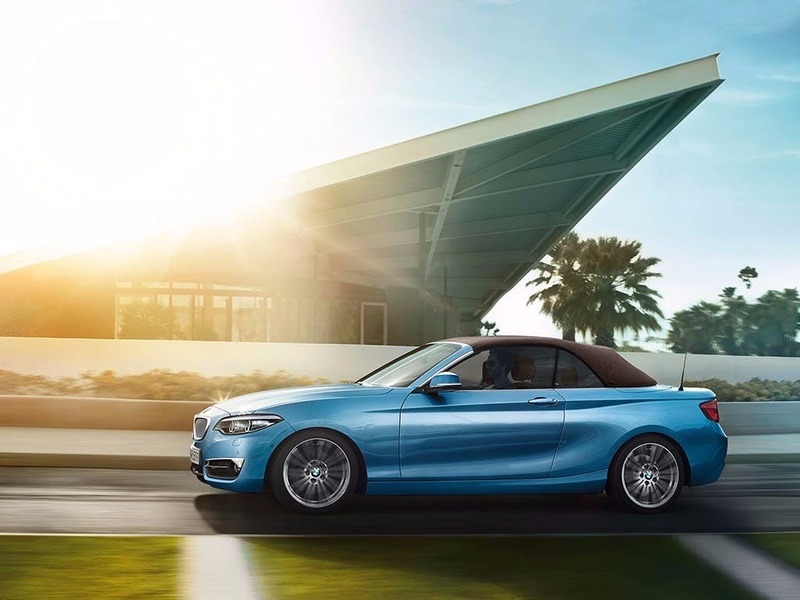 Exuding style through its eye-catching aesthetic, the new 2 Series Convertible displays plenty of iconic features, not least its inward-sloping double kidney grille, complete with a chrome finish. Its wedge-shaped silhouette and dynamic light alloy wheels emphasise the sporting prowess that comes naturally to the new BMW 2 Series Convertible. 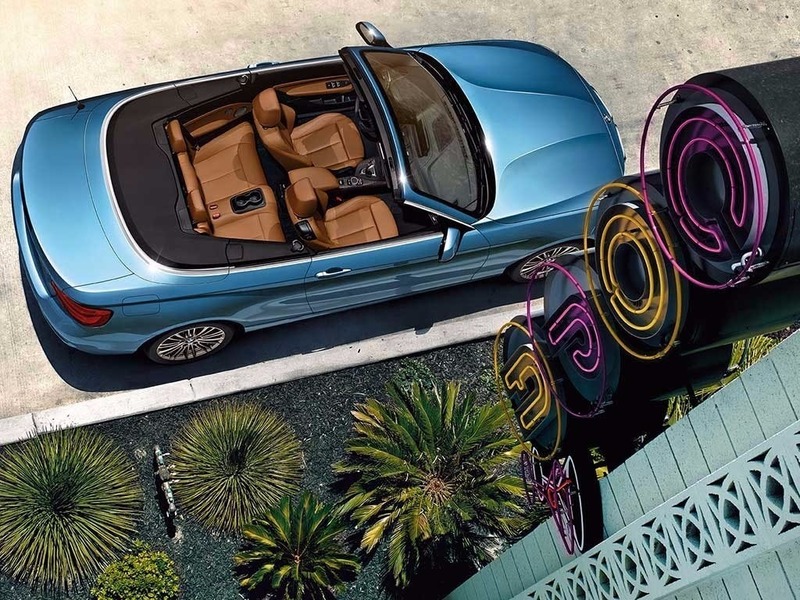 Delivering an exciting drive every time, the new BMW 2 Series Convertible is the sportiest convertible of its class. 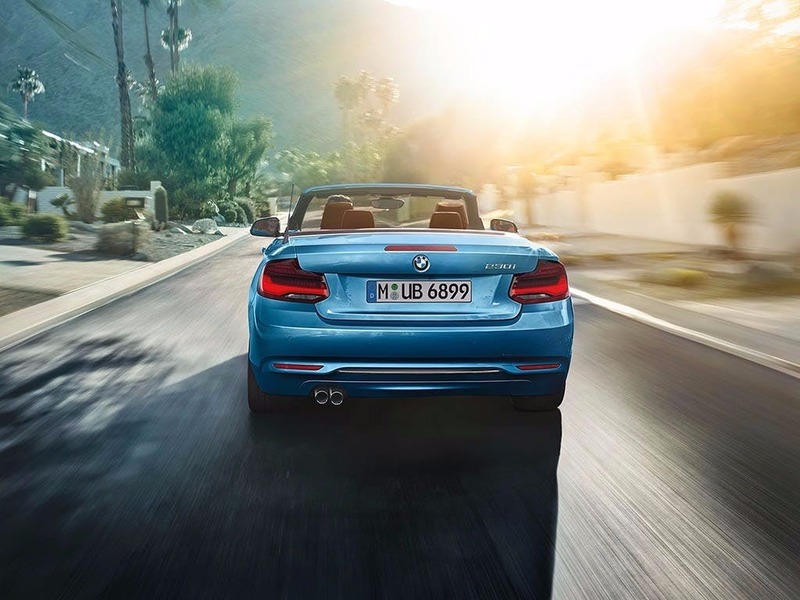 With a range of top-class engines, the 2 Series Convertible guarantees performance no matter what you’re after. If running costs and fuel efficiency is your top priority, the BMW TwinPower Turbo four-cylinder diesel engines achieve an impressive 64.2mpg. Built for power, the TwinPower petrol engine found in the BMW M240i comes with a six-cylinder engine that packs a total of 340bhp. So much more than just a fast car, the new BMW 2 Series Convertible features top of the range technology. Included as standard, the 8.8-inch Control Display lets you enjoy first-class operating comfort whilst making the most of a number BMW technologies. From Navigation to Emergency Call, BMW has got you covered. Never miss a thing with BMW ConnectedDrive that brings you features such as BMW Connected or Apple Carplay® Preparation, all of which can be operated by the iDrive Touch Control. Discover your individuality with the new BMW 2 Series Convertible. Visit your local BMW dealership in Bedford, Brighton, Borehamwood, Cambridge, Farnborough, Hailsham, Hindhead, Kentish Town, Ruislip, Stansted, Watford and Worthing for more information. 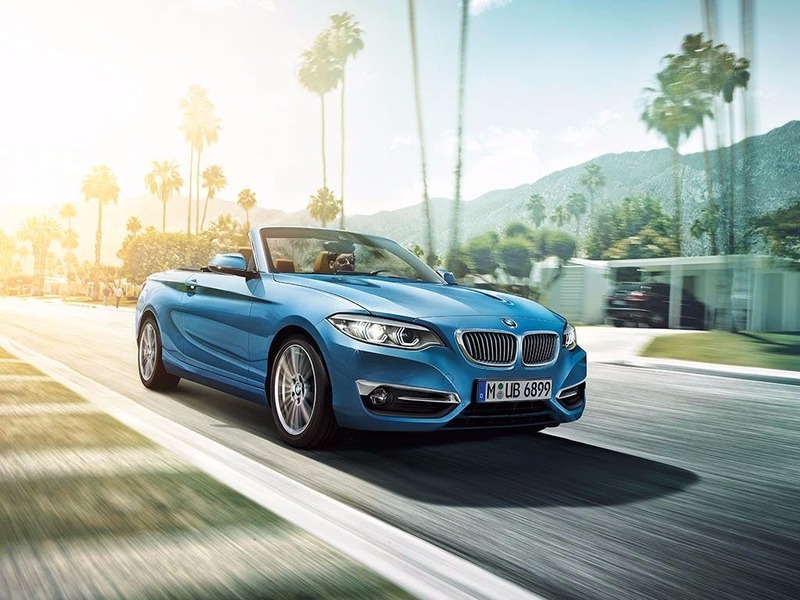 Explore the 2 Series Convertible specifications.